“My husband and I have thought about doing foster care so many times. It’s just not the right time in our lives… Maybe when we have a bigger house… Maybe when our youngest is older… But I just don’t think I could do it.” Insert any other excuse you like. OK, hold up. I know, Jason Johnson has blogs disagreeing with me about this. Foster parent recruiters would come to my house and lynch mob me at night for saying this. It just doesn’t make sense. The need is so great. We need more homes. Yes. Yes we do. But we need the right homes. We need homes that really get foster care and are truly in a place where they are ready to lay their lives down in this way, just like Jesus did for us. More than we need the right homes, we need the right villages. And you, my friend, are in the right village. You see, I couldn’t do foster care without the college kid next door being willing to “work on projects” alongside my foster son on Sunday afternoons. I couldn’t do foster care without my parents being willing to celebrate the birthday of a child who might be completely missing from our lives on his next one. I couldn’t do foster care without my friend being willing to pray for me while I struggle through some tough situations that challenge me in every way. I couldn’t do foster care without my church being willing to share hand-me-down clothes, help with the yard work, babysit or drop off a meal occasionally. I couldn’t do foster care without my parents’ friends (the ones who watched me grow up) tell me how proud they are to see me obeying God by loving and caring for this child. I couldn’t do foster care without the stranger who gave my agency helpful items to tide us over on the first night. You see, you might not be called to be a foster parent right now. But you definitely are called to be in the village of a foster parent right now. In this village, your job might be to pray for a foster parent or child and write notes of encouragement. Your job might be to be a mentor or a babysitter for foster children. Your job might be to mow lawns, make meals or donate furniture or clothing. Your job might be to donate money to meet agency needs or provide a scholarship for a child to participate in an activity. If we have people willing to support foster families in these ways, we will find that more people have the ability to be foster parents. 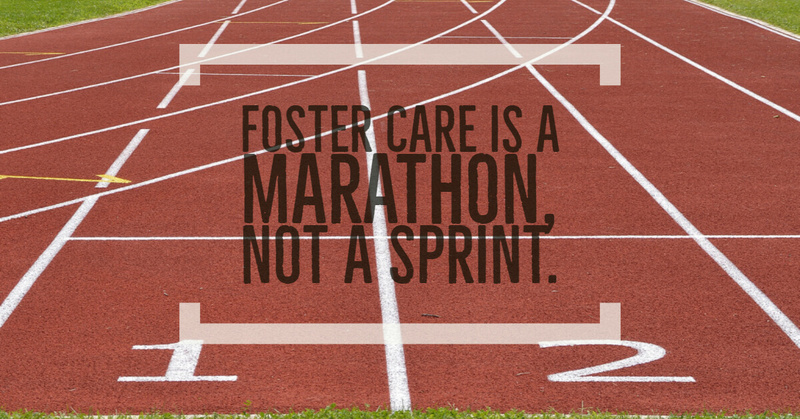 If you are called to be a foster parent, you will discover the excuses disappear. So what’s your job? Next PostGrand Champions- Made in Nebraska!